After gaining experience through the Bone Stock division at Delaware Speedway, Don Yorke will take a big step in his racing career, making the jump up into the Lucas Oil Sportsman Cup Series in 2019. “I’m up for a pretty big learning curve in driving style,” he commented. He says the decision came very easily, in watching how much it has grown over the past couple of years, and having enjoyed the shoes. That’s why he notes his biggest goal entering his rookie campaign is to simply be “competitive,” and in the mix with the field. 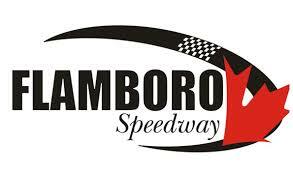 Yorke’s 2019 schedule will consist of three Lucas Oil Sportsman Cup Series races (Delaware, Sauble, and Flamboro), as well as five Super Stock events, a Mini Stock race, and eight Bone Stock races. Yorke has been around racing since a young age, as his father was a long-time competitor at Delaware. Getting infected with the racing bug at a young age, Yorke dove his feet into competition via being crewing for Devon Blomendal in the Delaware Speedway truck series. Through the years of accomplishments, he says the most memorable moment would be winning the Harbourne Lawrence Spirit of Racing Award in 2015. Don Yorke would like to thank Neumeister Motors Limited of Stratford for their support, and car owner Terry Swan. He will be launching his season plans in style, having the car on display at the London Custom Car Show on March 23 and 24.